In addition to being an indication of love and greeting as Mother Teresa so eloquently describes, the smile can also be an attribute to reflect inner happiness, self-confidence, and a snapshot of our personality. 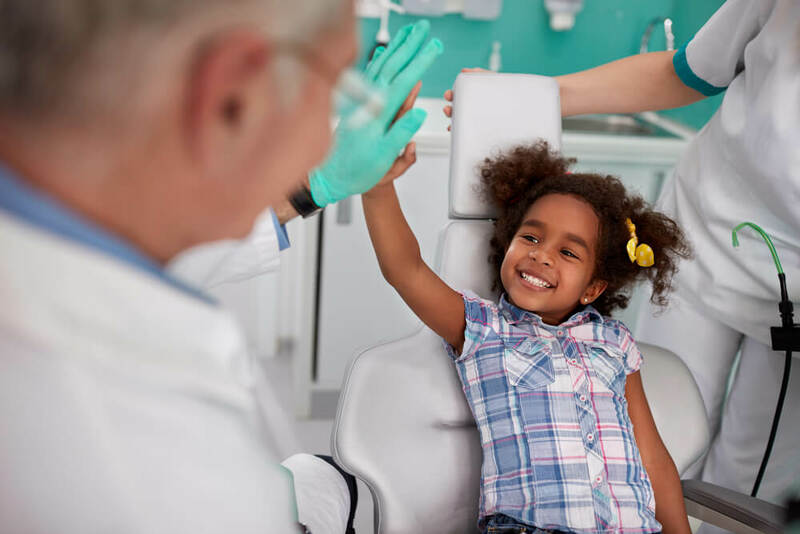 Making sure your child receives a routine kids dental check up is an essential step in solidifying a strong foundation for encouraging best-dental hygiene practices, positive overall health, and a beautiful, lasting smile. Did you know that the American Dental Association (ADA) recommends that a child has his/her initial dental visit as early as the eruption of the first baby tooth? This may seem alarming, particularly for first-time parents who may wonder if it’s really necessary to bring a baby or toddler to the dentist at so young an age. There are actually several favorable reasons to seek a kids dental checkup sooner rather than later. Although a common misnomer is that baby (or primary) teeth are somewhat disposable because they are eventually replaced by permanent teeth, it’s not wise to adopt such an attitude. Tooth decay in baby teeth can actually lead to greater decay in permanent teeth! Our two Kangaroo Smiles locations in Lowell and Methuen (coming soon!) offer specialized pediatric dentistry services – including kids dental check ups. We also cater to the lively spirits of children with engaging, colorful drawings, plushy “comfort friends,” and an overall fun atmosphere. 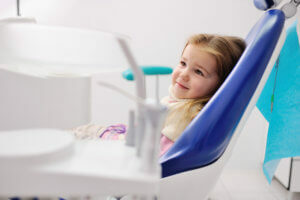 What Happens During a Kids Dental Check Up? By age three, children typically have all 20 of their baby teeth, but again, the ADA suggests scheduling your first kid’s dental check up by no later than your child’s first birthday. Dr. Mona will also provide suggestions on helpful dental home-care practices and provide any additional recommendations relating to maximizing your child’s dental hygiene success. This may include sealants to coat and protect the surfaces of teeth from potential tooth decay. Little things like ensuring your child reach his/her back teeth; doesn’t swallow the toothpaste, and brushes up and down (instead of side to side) are important to reiterate to your child until he/she is old enough to complete these tasks independently. Make sure to equip your child with an appropriate-sized toothbrush with soft bristles and a fluoride-enriched toothpaste. Children under three only need the equivalent of a grain of rice amount of toothpaste, and eventually, they can transition to closer to a pea-size of toothpaste (age six is recommended). While brushing is suggested twice daily, flossing can also be introduced and encouraged once a day. Some dentists call them “sugar bugs,” others simply call them what they are – bacteria – from sugary foods and drinks that effectively transform into acid. This inevitably leads to plaque build-up and tooth decay. To avoid this cycle, introducing a balanced diet of fruits, veggies, protein, dairy and whole grains with limited access to sugar will help reduce the chances for unwelcome dental consequences. It’s also important to adhere to the ADA’s guideline for a kids dental check up every six months. To help maintain this habit, schedule your next visit before leaving the dental office for each check up. To keep your child’s smile and future bright, call us anytime for questions or to schedule your first or next kids dental check up, 978-403-4168.